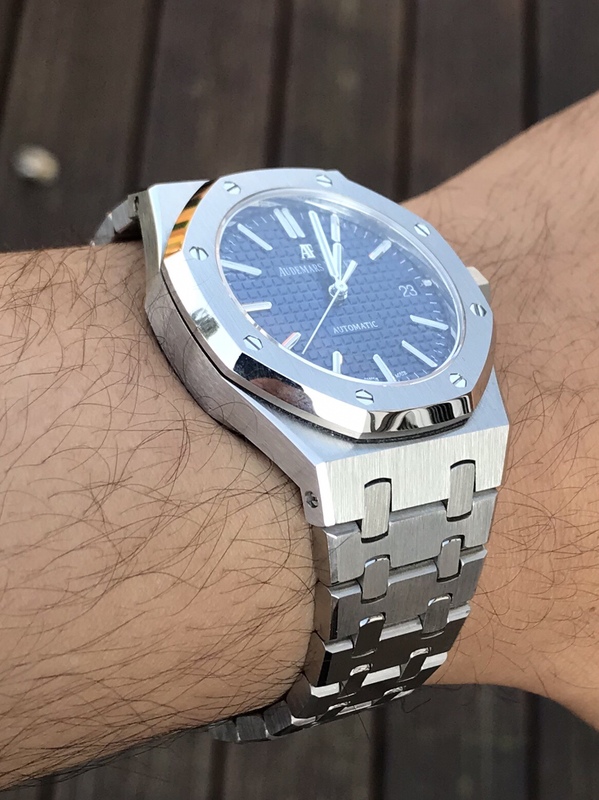 Would like to see some beautiful pictures of 15450 JF in any color if you have one! 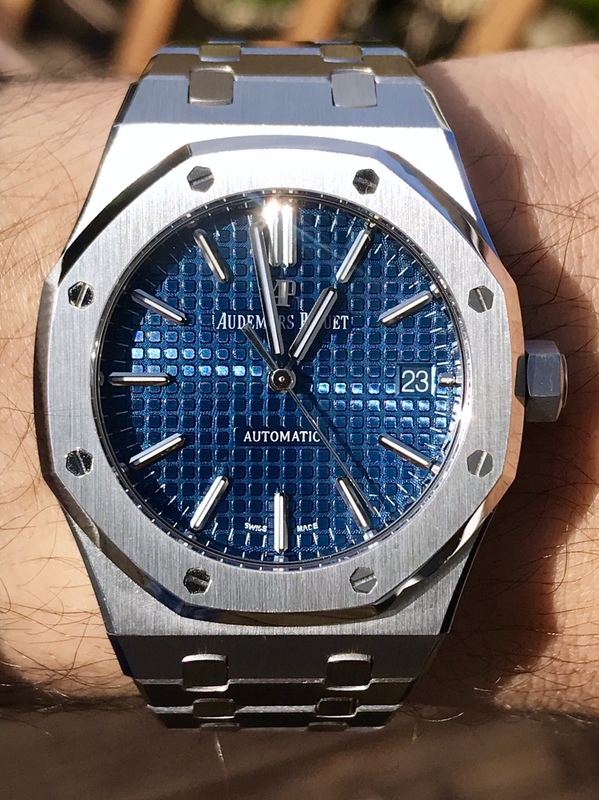 I am aiming on the two tone color but also the blue dial is so nice.. Wondering if the detail is as nice as V3 V4 in 15400? Im a noob but i just saw a gen two days back. The color looks more lively and sharper on the gen right? Noob or not, your eyes can be as good as, or sharper than the rest of us in the know. Colors don't lie if you have seen/handed both in person. Make your own judgement. Members here can say a lot of different things, but I am sure you will be able to discern what is right and what isn't. There are many things written about how gen is like this or that, but when it comes to color (and finish), pictures on screens can be deceiving and the only proper way to do a comparison is to have the gen and rep in hand and then responsibly declaring the differences. I find statements made in this regard unjustified when done any other way, pertaining to color. Other attributes like size, shape, sharpness etc all can be compared via pics. One of my favourite reps. At first the size is off putting but ride it through for a week and it will grow on you. I’ve had a few of these. The earlier batches had mismatching dial/hands lume. Latest batch looks much better. I think they have updated the DW as well. 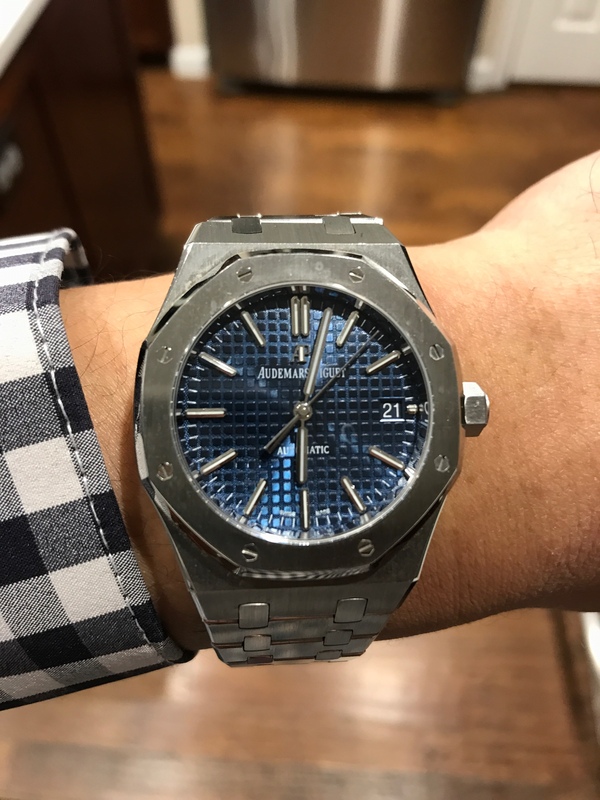 I e got the blue dial and love it, as someone posted above when I first received it my initial thought was wow that's far too smal, but after wearing it for a few hours it suddenly seemed right. I too want a black dial two tone, however I've read on the forums that the factory are not making the 15450 anymore, and the td's cannot get them even tho they still show on their websites. Before anyone says contact and ask the td's I've done that so many times and been told that a watch is available only to be told it's not after paying, I have absolutely no faith in truthfulness of the td's in this respect. 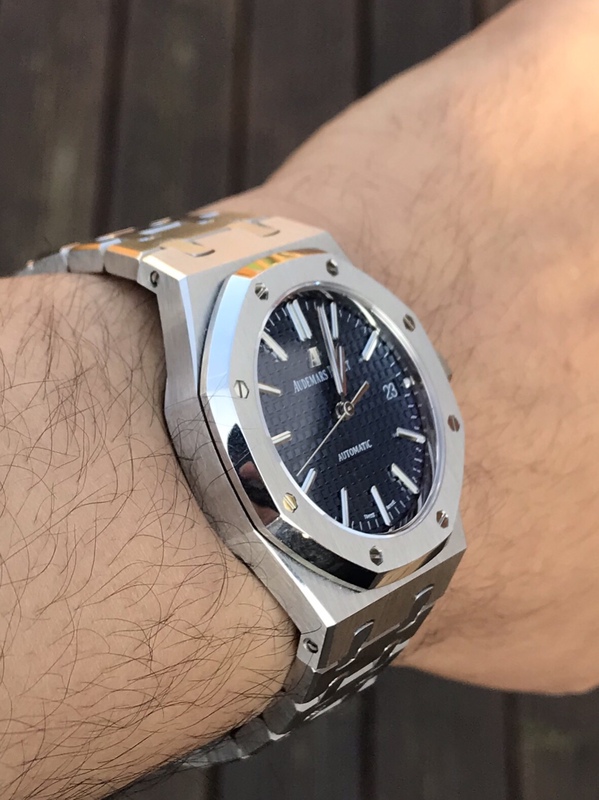 I don't know how big or small are your wrists, but if they are small (and I assume they aren't big as you look at the 15450), may I suggest that you also look at the 33mm version? 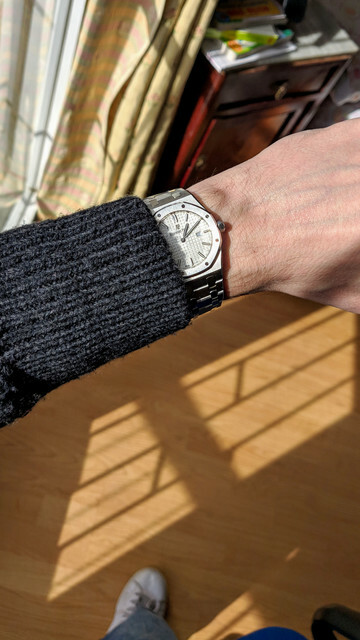 I have had a 15202 (39mm), a 15450 (37mm) and a 15000 (33mm) and I realised the latter is the one that keeps the best proportions both on the watch itself and in my wrist. I think it is, and the white dial is a fantasy dial as it doesn't come in that colour. Still, I really feel I like it better than any other version I tried. 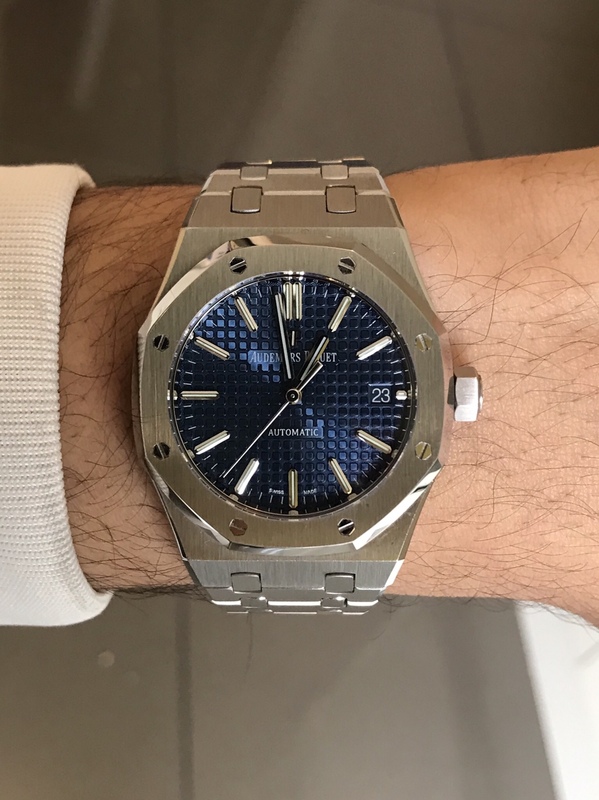 I might give the 15450 another shot as I really like the blue dial, especially when it turns almost black when looking from aside. I’m so glad op started this thread. 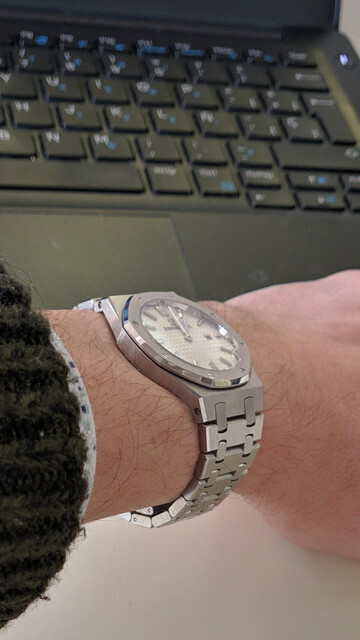 I’m considering a 15450 because of how small my wrists are and from what I’ve gathered, the latest version is a v2 from jf. Am I right? Anyone care to chime in on the recommended mods? I was thinking of maybe thinning the case back and making sure hour markers are lined up. Would experts recommend rebrushing the case and bracelet? How about swapping the date wheel. Thanks in advance for everyone’s input.